I’m a big believer in training. It’s such a difference than merely “doing.” You can “DO” your exercise every day. You can “DO” your meal plan. You can “DO” your times with God. 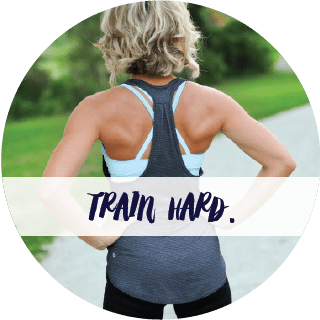 But training–training involves something a little more. It involves a specific purpose. It involves a little heart. It involves practice and more practice. Training is done with INTENT and that’s what I want to help you with. I don’t want you to just “call in” these areas every day. I want you to do them for a reason. “Training body and soul for the race of life” is my main tag line. It’s my quick way of stating in one sentence what my hopes are for you when you come to this site. We train, we rest, and we do it again. We have a worthy race to run, so let’s get to it.